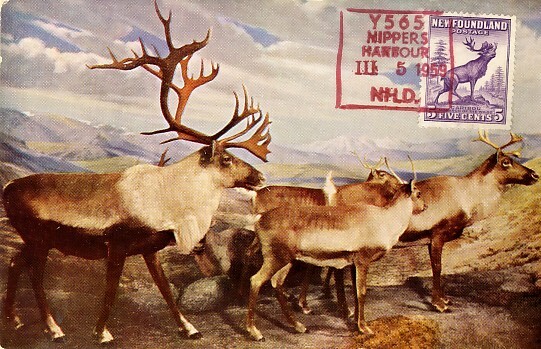 MOOSE explores the wilderness of modern Canadian postal markings from money order office date stamps of the 1870's to present-day numbered markings, including the different office numbering systems used by Canada Post. The Bull.MOOSE is the regular newsletter of the group, published quarterly in November, February, May and August. Over 25 years we have published 1000 pages. Research and writing has included Canadian MOO, MOOD, MOTO, MOON, POCON and RC cancellation types. Interest also focuses upon sub-groups of markings like those used in postal stations, for special events, errors, particular designs like 'wings' and past initiatives like postal agencies, Staples Shipping Centres and emergency mobile markings. Beginning with volume #17, listings are featured of new offices opened across the country and recent articles are exploring the history of Canada Money Orders and Postal Notes. The scope and collecting interests of the study group evolve with the times. Back issues of the Bull.MOOSE are available on the Archive page. Membership is $10 annually ($5 for digital). Contact Doug Murray. MOON marking from Nipper's Harbour, Newfoundland. 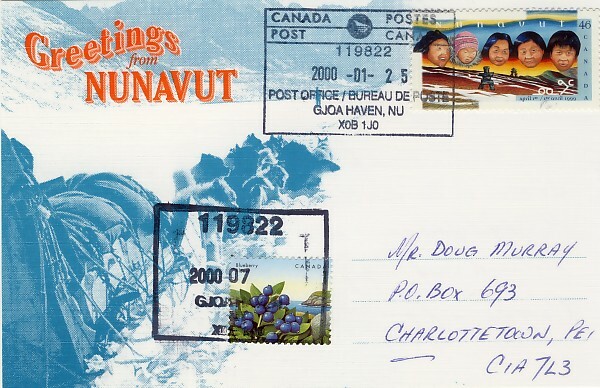 Caribou are native to the island as indicated on the stamp but those on the card are from Alaska. Two markings from Gjoa Haven, NU, one a 'wing' POCON and the other (earlier) one applied without a date change.